Browser technologies have experienced an enormous amount of growth since the very beginning, from the simple static pages of HTML down to the full blown animation and interaction of flash. The number of tools available to webpage development have exploded and you are no longer limited to a few options in building your page. In more recent years, basic HTML pages have become a little bit more boring, so developers were really scrambling to make their sites a little bit more interesting to the viewers. One aspect that was looked into was how to make pages a little bit more interactive to give it more flavor. Although there were many standards that were created, we will discuss two here for brevity’s sake. Boring HTML pages gave way to the rise of DHTML or Dynamic HTML. DHTML allows the webpage creator to program specific responses to exact actions that the viewer does. This is very apparent when a viewer moves his mouse on top of a button and the button glows or looks pressed. 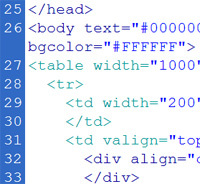 This is a capability of DHTML that is not possible with HTML alone. InÂ essence, AJAX and DHTMLÂ are two of the remedies that were created to augment the capabilities of HTML. DHTML does this by changing the elements on the screen depending on what the user’s actions are. While AJAX allows the browserÂ to request certain elements at a time to reduce the strain on the internet connection and avoid the annoying reloading process. With that in mind, we can say that AJAX and DHTML, used at the same time could greatly improved a users viewing experience. Find book about AJAX and HTML. Ben Joan. "Difference Between AJAX and DHTML." DifferenceBetween.net. August 22, 2009 < http://www.differencebetween.net/technology/difference-between-ajax-and-dhtml/ >.